Do you want to apply for funding through SE Uplift’s Neighborhood Small Grants program, but don’t have a project idea? Let us help you jump-start the ideation process! Pinterest: Pinterest can be an invaluable tool for finding project inspiration. It is a much better alternative to Google if you like looking at pictures instead of words to get the creative juices flowing. Features like ‘Related Pins,’ and the ability to see other user’s ‘boards’ displaying the same image, makes finding related resources a snap! Not sure where to start? Check out this project inspiration board we created with over 90 ideas. 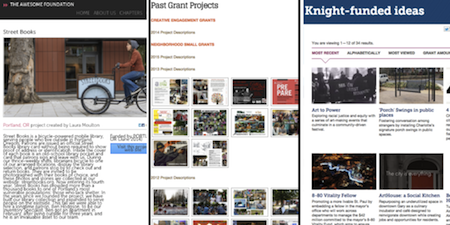 Grantmaking Organization Sites: What better way to find successful community projects than by going straight to their funding sources? 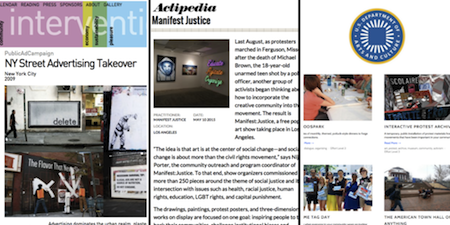 Civic Engagement / Placemaking Organization Sites: These are just a few of many organizations worth following. 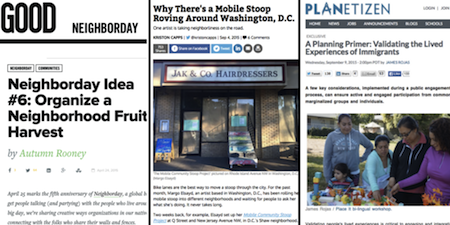 Media Sites Focused on Cities: Although they can require a bit of searching, media sites like the ones listed below frequently publish stories highlighting fun and innovative community improvement projects. Crowdfunding sites: Crowdfunding is increasingly used to raise money for startups, product ideas, and artistic ventures. The platforms listed below harness this model to fund community-centric projects. It probably goes without saying, but the project examples above are provided for inspiration purposes only. This is not an exhaustive list and we encourage you to use the full extent of your creative talents to make your project come to life. Some of the projects included do not meet all the Neighborhood Small Grants program requirements and would need to be modified to qualify for funding. If you’d like help figuring out how to turn inspiration into a reality, RSVP for one of our grant workshops or webinars or connect with our friendly grants-whiz, Kelly, at kelly@seuplift.org or 503.232.0010!